I’m pretty open to trying new things. New restaurants, new fashion brands. New beauty products. Try everything once I say, you never know what you’ll discover. When I came across a brand new eco friendly beauty line by the name of Zen Botanics of course I had to put my hand up for a trial. Although I don’t just stick to natural products, I feel so much better within myself when I do use them. Why? Because besides making your skin feel good you’re also using products that do not test on animals, and products that are so natural that you could probably eat them (not that I would)! The Sydney brand is certified organic, 100% natural and made with love, without the nasties you find in other brands. Think flower extracts, essential oils and purified water – sounds good right? 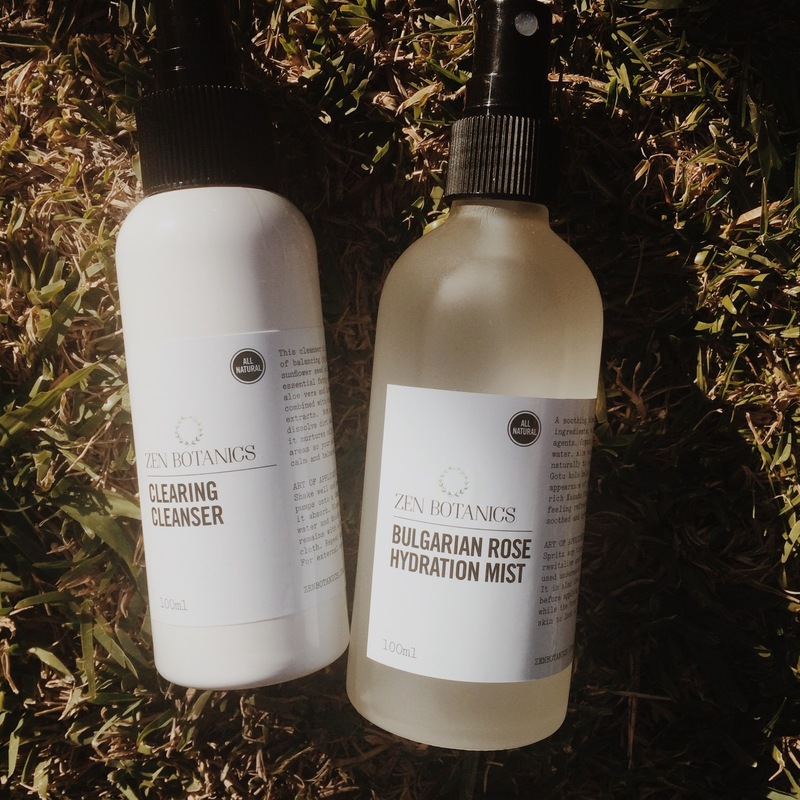 I was lucky enough to get my hands on a few products to trial – but I couldn’t pass up giving you guys the low down on the Bulgarian Rose Hydration Mist. Slick, minimalistic and not taking away from the product, the stunning black and white packaging is both simple yet classical. No “in your face” colour or advertising with this brand, it’s about what’s inside the bottle. Pure, natural and good for you. Personally I’m more drawn to this style of packaging. Plus the bottles will look perfect on any bathroom countertop. Hints of floral and freshness, the product smells as if you’ve just stepped foot in a rose garden. Lingering well after you spray, it’s not too overpowering, with just the right amount of flora. The texture is non greasy, light and refreshing without an oily feel. I can’t say I’ve used a spritz before, but this girl has jumped on the bandwagon. The light mix of essential rose flower water, Chamomile and plum leaves your skin feeling alive with every spray. Tea has known healing and health related qualities, so if you drink it to feel good, spraying it on your skin is obviously going to do good! Hydration is particularly important in the cooler months because no one likes a dry face, so this product is perfect to pop in your handbag for those moments when you need a little spritz spritz. I tend to get pretty dry around my “t-zone”, particularly in between my brows so I’ve found the product to soothe and repair the awkward spots. Being a sensitive skinned soul too, I’ve not found any irritation to the product which is rare for me these days. I’ve become partial to giving my face a spray when I’m feeling tired, it really is a pick me up. Feel free to spray it over your made up face too – it’s never messed up my makeup. 4/5 stars – the easiest pick me up for tiredness I’ve come across! Plus it smells a treat! I’ve just added spritzing to my daily regime. Will you? 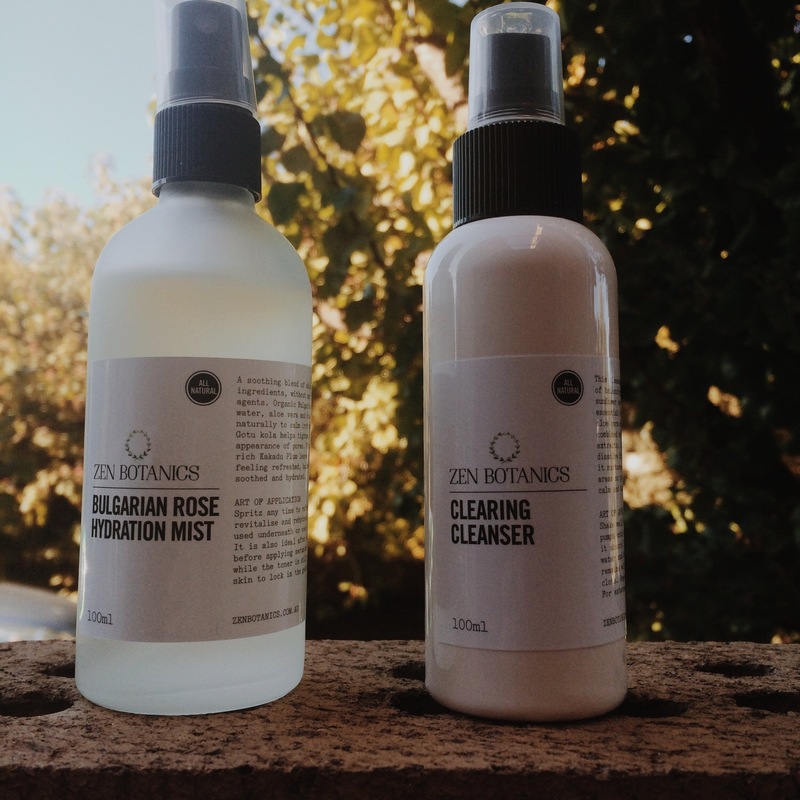 Now here comes the fun part – thanks to Zen Botanics one lucky reader of The Illusive Femme will walk away with their own luxe Clearing Cleanser (valued at $37.95)! To enter all you have to do is comment on this post (or my FB or Instagram) and tell me how you keep your skin looking amazing? The most creative answer will win. Giveaway open to Australian readers only. The winner will be drawn mid next week! So, as I said, how do you keep your skin looking amazing? Products gifted by Zen Botanics for my review, all opinions are my own. I just love Bulgarian rose water. A couple of friends make the hydrosol for me. I also use the Shiseido and Rose of Heaven versions. like to spray the stuff all over my body over my lotion and before adding scent. Thanks for the heads up with this particular brand. I’d love to try it. My skin doesn’t look amazing so perhaps I should be trialling a brand such as this !! And yes it does look amazing! The rose mist sounds fantastic! I use Jurlique’s and love it, but I’m obsessed with facial mists and might have to try this one too if I come across it. Unfortunately for me, I don’t live in Australia. It seems like every amazing sounding beauty line I stumble across lately comes from there though! i love rose water anything!